This has been an epic week-long birthday celebration with my family! It just couldn’t have been any better than to have friends along with Nancy Lee, Sarah and Soren all together in one place… This time it was in Chef Ray Remler’s exquisite kitchen at the Rivertown Inn in Stillwater, Minnesota. The gift was a 4 hour cooking class with Chef Ray leading the way. This flan was the first treat we all made together and the last thing we ate at the end of a phenomenal experience. Thanks to Jennifer Ford for getting the ball rolling, to Nancy Lee for an epic idea and the best gift ever! To Soren and Sarah for loving me so well. To Travis for sharing his sweet bride with us for a few days! To Patty for flying in from Chicago to share the festivities, and to Chef Ray for sharing his passion for food and the warm welcome extended to a bunch of strangers who became quick friends by the end of the afternoon! Preheat the oven to 300 degrees. Infuse flavor into the milk by placing the milk in a medium saucepan with the cinnamon, orange zest, nutmeg and Grand Marnier. Slowly bring up to a scald, but do not boil. Reduce heat and let is simmer for about 10 minutes. To prepare the caramel sauce that will go into the ramekins, spread out ½ cup of sugar in a non-stick skillet, and heat the sugar slowly. It will begin to dissolve. When the sugar in the skillet has dissolved and turned a nice brown color, pour about a Tablespoon into the bottom of the ramekin and tilt the ramekin so that the sugar coats the bottom. This must be done quickly as the sugar will begin to harden quickly. Note: The ramekins should not be cold; rather, they should be warm, or at least at room temperature. 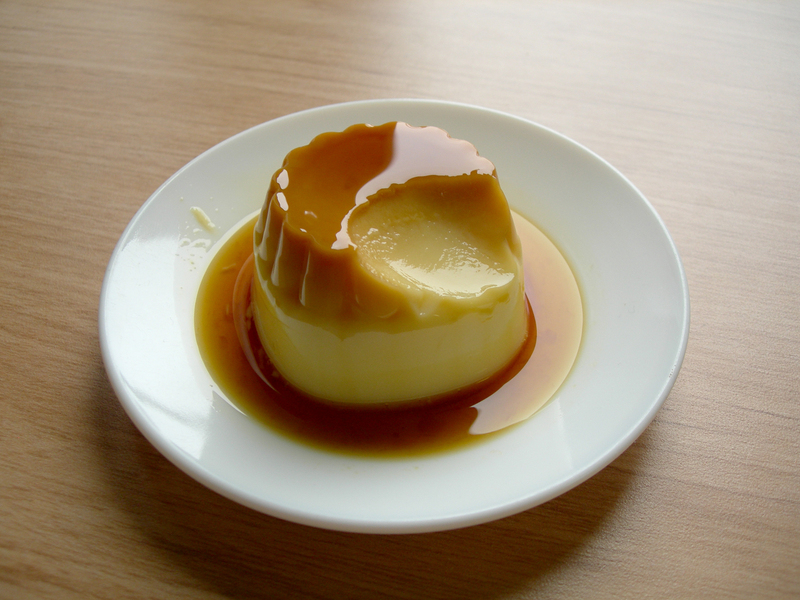 To prepare the custard, in a mixing bowl combine the eggs, ½ cup sugar and whisk until the eggs are blended. Remove the cinnamon stick from the milk mixture and slowly add the half and half into the egg and sugar mixture. Place the ramekins in a deep baking dish. Pour the milk mixture into the ramekins filling as near to the top as possible. Pour hot water into the baking dish. The water level needs to cover at least ¾ of the ramekin. When transporting to the oven be careful not to let the water into the ramekin. Cover and bake for about 20 minutes. When you check the custard after baking, it should be bouncy and firm. Remove and cool. Serve by sliding a thin knife around the edge of the ramekin. Place the serving plate on top of the ramekin and flip it over, gently lift the rakekin from the plate.